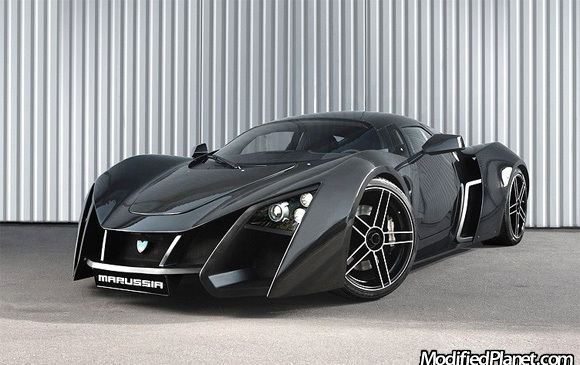 Check out the Marussia B2 super car from Marussia Motors. This Russian made super car features a 2-seat coupe configuration and is powered by a 2.8 liter turbocharged V6 engine and mated to a 6-speed automatic or 6-speed manual transmission. The Marussia B2 powerplant produces 420 horsepower and 520 ft-lb of torque at 4000 rpm. The Marussia B2 can achieve a 0 to 62 mph in 3.8 seconds and reach a top speed of 160 mph.